WordPress is set to release WordPress 5.0 tomorrow, Dec 6th. 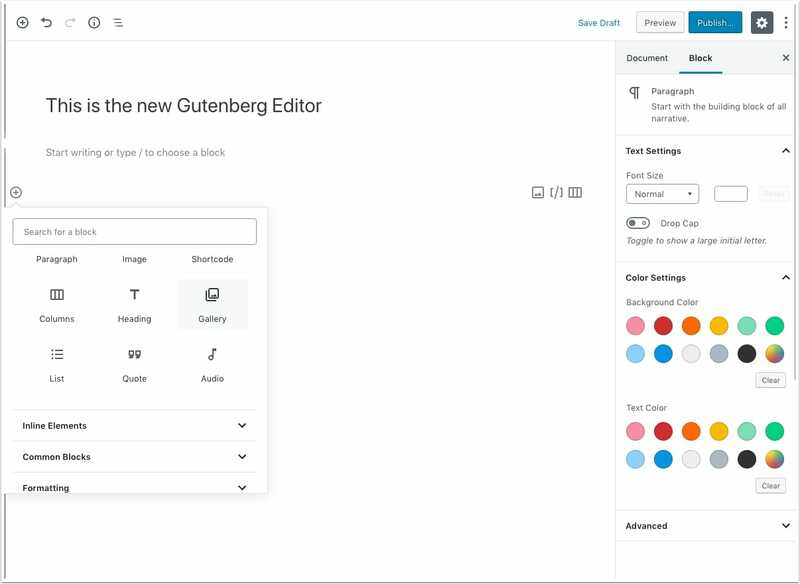 This update includes the new Gutenberg editor and it’s a major update. The new editor is a completely new experience that uses blocks for all your page elements, which allow for more flexibility when creating content. This is a major release, and a much needed overhaul that will make creating page layouts much easier. However, because it’s the first release there will be some bugs to be worked out. 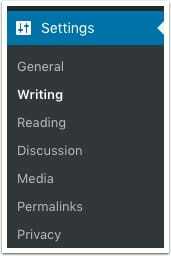 While many themes and plugins are fully compatible with the new editor, not all are. That means if you are using a theme or plugin that are not compatible it could cause problems for you on your site. I recommend holding off on updating to the latest version at least until after December. There is not compelling need for you to update right away. In some cases web hosts may auto-update, or people may have their sites set to auto-update as well. Fortunately there is an easy to solution for that in the meantime, and it will only take a few minutes. 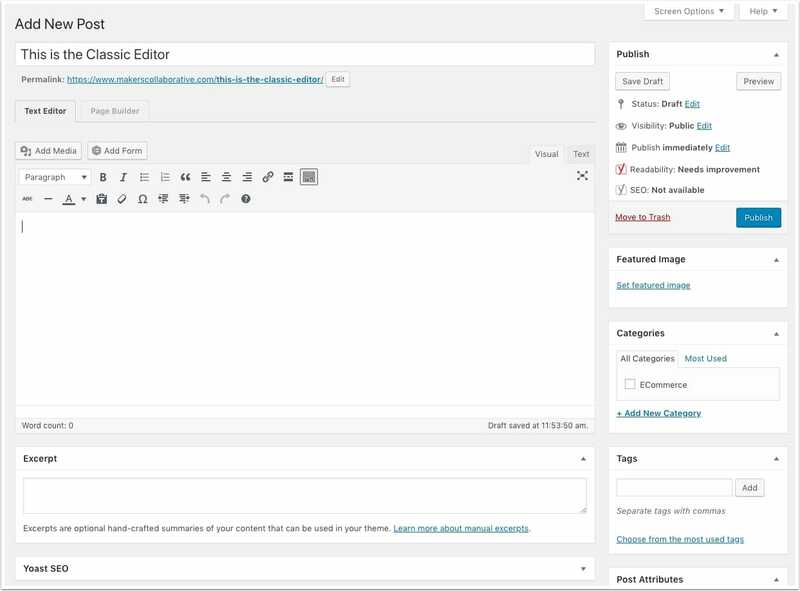 WordPress released the Classic Editor plugin so you can disable or replace the new editor completely. It’s free, and I’d recommend that everyone install this to be on the safe-side. This plugin will continue to use the old editor while all the bugs are worked out. Install the Classic Editor Plugin today before the update is released. It will take you less than 3 minutes. While you will still be able to install it later, this pre-empts any problems. You’ll also want to make sure your site is backed up, and hopefully your web host is doing this for you automatically. This will let you keep using the Classic Editor until any bugs have been ironed out. If your web host offers staging sites, you can test the new editor with that. Either way I'd recommend holding off on updating your 'live' site until January. We’ll be sharing some tutorials and resources for using the new editor soon.